Celebrating a jubilee is a cause of joy and happiness. It reminds us of something that happened and became history. It makes us look back and get a sense of the life we have consecrated. It is true that to celebrate is to remember, but that is not sufficient. To commemorate something means to make it present again and to live it as an act of gratitude. Looking at Father Dehon, we celebrate the 150th anniversary of his priestly ordination and his first Mass. On December 19, 1868, our founder was ordained as a priest at Saint John Lateran, Rome, with another 200 ordinands. The first mass took place the following day. We can read again the words of our founder: “The impressions of the ordination cannot be expressed. I became a priest, owned by Jesus, and all is filled with him, his love for the Father, his zeal for souls, his spirit of prayer and sacrifice”(NHV 6/85). On December 20th, Father Dehon celebrated his first Mass at Saint Claire Seminary: “It was emotional. When my father and mother approached for communion, no one could hold back the tears. Personally, I was crazy with love for our Lord and full of contempt for my poor, little self. It was the best day of my life “(NHV 6/86). These words express many feelings: love, emotion, lively gratitude to God for so many gifts that he has received. Days of grace and happiness. In the preparation for ordination he carried out a course of spiritual exercises. 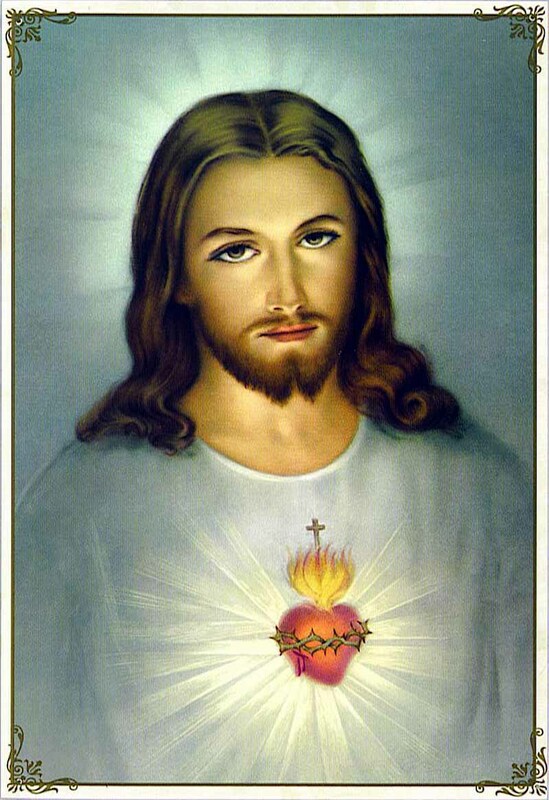 He states: “Our Lord wanted to prepare me himself, giving me abundant graces. He certainly had in mind my current mission. I see it today, clearly. He gave me so generously that spirit of love and reparation which is the characteristic of my vocation” (NHV 6/82). Priestly ordination and first Mass are two great days of celebration, as he wrote: “the best of my life” (NHV 6/82), always characterized by a profound experience of God, his gifts and the marvels of his love. For us, as Dehonians, this commemoration is a day of celebration and joy; we give thanks to God because of Father Dehon and of the offering of his Dehonian vocation. We remember and celebrate this jubilee of our founder. Let us ask God, the Father of mercy, to grant him the gift of Beatification, as a model of virtue and zeal; who sacrificed so much to remain faithful to His call, to spread the devotion to the Divine Heart of Jesus. At this time of year, we often speak about paths. The voice of the prophets invites us to repair the ones that have suffered damage and to build new ones to continue to give direction to our life. In these days, the voice of the Gospel speaks more about the travelers than the path, of a young couple from Nazareth, magi come from afar and a group of shepherds surprised during their work. All of them traveled. None of them traveled alone. For many, Mary and Joseph are simply fulfilling their duty, but even before that, they had cer­tainly undertaken a moving journey. They were accompanied by the faith and intimate solida­rity that united them, and especially by God’s everlasting benevolence. The shepherds, on their part, felt invited to be witnesses of the Pastor who always acts for the good of His people. They overcame their fears and traveled during the night. They found a shared joy in a new era that that began before their amazed eyes that very night. The magi, the foreigners who came from the greatest distance, were wise enough to know that to reach their goal they needed to discern and be guided. None of these travelers was disappointed. The encounter with Jesus illuminated their faces and shined a great light upon their culture. Nobody felt like a stranger and no one thought of the other as a stranger. The only one who remained estranged from all this was Herod. He himself wanted to be estranged and remain excluded. He did not want to go beyond himself, and even less did he want to set himself on the road and start walking with the others. He was a prisoner of his power. All the others were able to enter Bethlehem, especially the simple ones, receptive to surprise, who had no ambitions of power or prestige, restless ones seeking the truth. It is they who teach us the path we must travel and inspire us to continue along the way. The voice of the XXIV General Chapter that we celebrated just this year invites us to continue walking together, growing in the synodal culture. It means walking in the light of the Spirit, each day creating more space for the Good News that comes to us from Jesus in everything we do. It is Jesus who gives life and flavor to our journey. “His way is our way “(Cst. 12). Fr. Dehon has left us this living legacy. We must welcome it, live it and share it. In this month of December, we remember that 150 years ago Fr. Dehon was preparing to cele­brate his first Christmas as a priest. His ministry in the Church was a continuous learning to walk with others and for others. If this is so, it is because he fully understood the road to Beth­lehem. Contemplating once again what happened there spurred the life of our Founder. Bethlehem, the Holy night of Christmas, was the starting point for him. There he learned to remain and to walk hand in hand with God, to go out of himself and go out to meet others. He directed his way to meet and accompany those he knew would be most in need of attention and care, especially the youth around him. He never forgot to search for new horizons: «Ou faut-il aller? Je suispret : “Ecce venio!”. Faut-il aller a Bethleem, a Nazareth, en Egypte, en Galilee? “Ecce venio!”». [“Where must I go? I am ready: ‘Ecce venio!’. Must I go to Bethlehem, to Nazareth, to Egypt, to Galilee? ‘Ecce venio!’”] (CAM 1/63). It is time to return to Bethlehem, to enter Bethlehem. We do not remain outside, as foreigners, or alone, because in Bethlehem we will always find closeness and tenderness, reparation and encouragement to keep going forward in the stages that will come. Bethlehem is a living testi­mony and a shared mission. “[…] May the world of our time, which is searching, sometimes with anguish, sometimes with hope, be enabled to receive the good news not from evangelizers who are dejected, discouraged, impatient or anxious, but from ministers of the Gospel whose lives glow with fervor, who have first received the joy of Christ “. We wish you a merry Christmas and a new year full of hope and generosity to continue on the journey together. May we all be attentive to the Day of God who comes to dwell among us. Paolo VI, Evangelii Nuntiandi, 80 (citation from Pope Francis, Evangelii Gaudium, 10).